One of our favorite parts of doing what we do is getting out into the photography community to meet and talk with like-minded photographers. It gives us a chance to share what we know, to learn from the experiences of others, and to swap stories about working in the dark and working in the parks. We do this all year round, but autumn seems to be the time when some of the biggest opportunities fall into a line of quick succession. It’s kind of like the “Conference District” of our collective schedule. With that in mind, we wanted to share some of the events we’ll be participating in this fall. We hope you can join us at some of these amazing gatherings! This one actually just ended, and was the first landscape photography conference organized by the Out of Chicago group. They’ve been running tours, workshops and walks in their home city since 2011, and conferences since 2016. Gabe and I were honored to speak and lead walks at their Out of New York Photography Conference last year, and last week I did the same at their conference in Maine’s Acadia National Park. I taught a class on photographing the night sky, and delivered the conference’s closing session, “From Acadia to Zion: 59 Parks to Inspire Your Photography.” In addition to the myriad classes and presentations by the instructors and leaders, the conference had a very shooting-friendly format. Each morning, afternoon and night featured scores of photo walks and excursions, to places like Monument Cove, Boulder Beach, Cadillac Mountain, Bass Harbor Head Lighthouse, Schoodic Peninsula and many, many more. Me, during an Out of Acadia photo excursion up to North Bubble. Great photo courtesy of conference attendee and new friend Ron Johnson. Out of Acadia was a dynamic event that left the attendees, instructors and organization exhausted (in a good way) and creatively fulfilled. If you were there, you’re probably still sorting through images. If you weren’t there, you can look into attending their next landscape event: the Out of Moab Photography Conference, to be held in October 2018. I’ll be there too! It’s one of the kings of the photo-conference world, held in New York City at the famous Jacob K. Javits Convention Center. And we’ll be speaking there on the final morning, for the third successive year. This time, we’re sponsored by one of the biggest supporters of the National Parks at Night workshop program: NIKON. 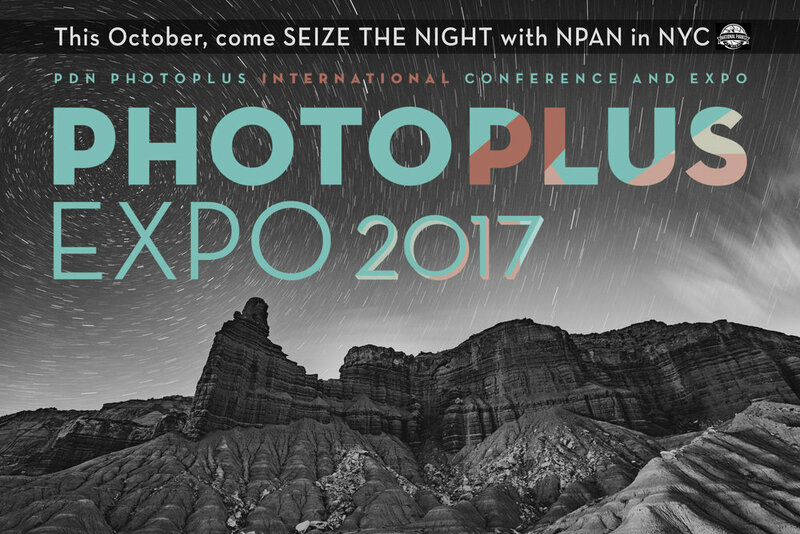 If you’re not yet registered for PhotoPlus and would like to do so at 15 percent off, feel free to use our speakers’ link. Lance Keimig will also be at PhotoPlus, delivering two presentations at the Irix booth during the day (at 11 a.m. and 2 p.m.), and leading a night photo walk on the famed High Line (from 6 to 8 p.m.). For more information, see the event page on Facebook. From November 1-5, I’ll be on the road again, this time to Tennessee and North Carolina, where I’ll be speaking at this singular event held at one of the jewels of the park system, Great Smoky Mountains National Park. 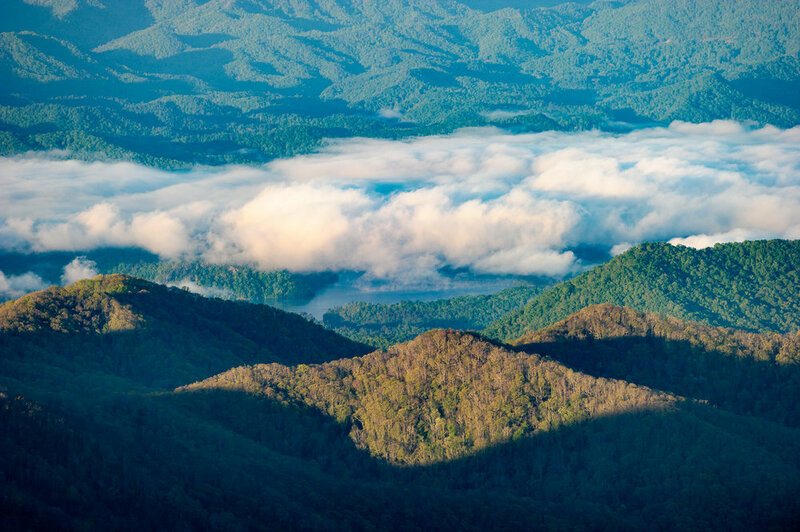 Clouds in the valleys of Great Smoky Mountains National Park. © 2013 Chris Nicholson. I’ll be one of 12 instructors delivering presentations, offering image critiques and leading field sessions in the park. I’ll be talking about light painting and national park photography, and others will be discussing topics as diverse as metering, creativity, master field techniques and more. There’s also a print competition, with a grand prize of a Fuji X-E3 kit. If you’ve never been to or photographed the Smoky Mountains, this is an excellent opportunity. See the Great Smoky Mountains Photography Summit website for more information about how to register. After mid-fall, things slow down for us a bit in terms of speaking at conferences. But that doesn’t mean we won’t be out and talking about photography whenever we get the chance. We’re currently booked to speak at camera clubs in four states between now and mid-winter, including the Churchville Photography Club in Pennsylvania, the New Haven Camera Club in Connecticut, the Englewood Camera Club in Florida and the Greater Lynn Photographic Association in Massachusetts. 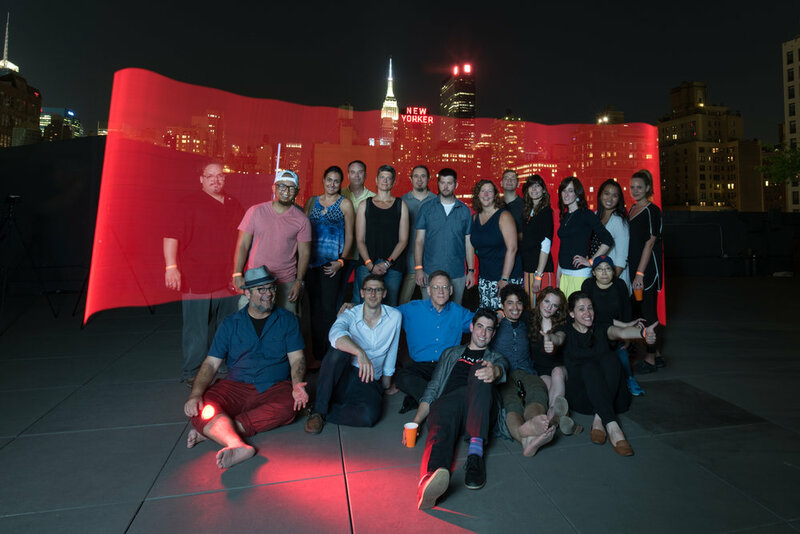 Last year we partnered with the New York Adventure Club, sponsored by by B&H photo and Hudson Mercantile, to host a light painting class on a secret rooftop in Manhattan.